Don’t waste money on more marketing efforts until you can lead them to your BEST Brand. No matter what size your business is. No matter if you’re just getting started, or have been in business for years, the strength of your brand is the most important aspect of your marketing. The sooner you develop your Best Brand, the sooner you start converting those hard earned prospects into customers. My best client has always been one that has built their online presence themselves or on the cheap and finally ask me why they aren’t selling anything. A lot of us have to go thru that process before we’re ready to take our brand seriously. You’re tired of competing for lowest price…Every. Damn. Day. You’ve spent way more money on marketing, w/o results, than you feel you should have — whether it be online advertising or traditional. The answer to both of these is— you need to find your BEST brand. This is your logo, slogan, the clarity of your promotional copy, reviews, your mission statement and Value Propositions. Also Authority Identifiers such as testimonials, certifications, authored content. Finding and building out the right social media platforms is imperative. …as is your personal brand story. And the reality is — most of us waste our time and energy trying to be all things for everyone, but the reality is that we can get more customers by better defining our niche and differentiating ourselves. This is an important first step that I explore with my new clients. I’ve heard this from time to time over the years — My response is always the same — If you don’t take control of shaping your brand, your prospects will! Your brand is what your prospects come to think of you and your company whether you like it or not. When they first heard of you – be it through advertising or word of mouth – they came to check out your online presence to determine if they should spend their hard-earned money on your product or service. They ACTIVELY and QUICKLY made a judgement about you and your company. That judgement, for better or worse, is your brand. You’ll have a brand whether you like it or not. Do you find yourself competing in a race for the lowest price day in and day out? You may tell yourself that it’s your occupation — that it’s because you’re a plumber, mechanic or one of a million career coaches… but, you know of people in your profession that are above that, don’t you? You have competitors that make very good money doing what you do and don’t seem to have the problem customers that complain about every invoice… Every. Damn. Day. I can help you develop your trust messaging and productize your services to dramatically reduce pushback from reasonable invoices. Like many people in my field of online marketing and web development, I used to think hosting client websites would be an amazing business model! A lot of people still do. For a couple hundred dollars per year I’d get the pleasure of trouble shooting a few thousand dollars worth of their problems. People today that try to make this work resort to holding their clients hostage to try to extort a few extra bucks from them whenever they can. Their clients begin to resent them… especially as they get no return on their investment! No way these websites are going to make any money — they’re an EXPENSE, not an INVESTMENT. There’s no mutual respect in this game and no winners. WHY? Because no one is benefitting. Both sides are trying to out-cheap the other. Today, I recommend that my clients own their entire online presence themselves. I simply help them create a presence that gets a return on their investment with me. And one that they can manage to the extent that they need or want to. They know where to find me when they need me. So, what is your Best Brand? What is this magic that turns prospects into customers? It’s realizing that you offer a product or service that HELPS people. That BENEFITS people. And most importantly, that you are SERVING those people. Finding our Best Brand and best business model is finding WHO we are helping. HOW we are helping them. And WHY we are helping them. If you’d like to discuss how we can work together to get you more prospects online — and then turn them into customers. Fill out the form below and let’s get started! Phase 2 is a natural extension of Phase 1, in fact some solopreneurs may grow into Phase 2. Example: The accountant that was servicing a residential base, but has since hired (or partnered) with another accountant or two and desires to now target other businesses. Phase 2 marketing is defined by utilizing a content marketing plan that positions the company as a thought leader in their field while also repurposing the content for social media marketing, email campaigns and lead magnets. The lead magnets are then used as part of the sales funnel to grow the prospect list and nurture the leads. This program can take 3 months to 6 months to implement. It mostly depends on the extend of the content that needs created and the level of assistance required. Price typically starts at $6500 (Phase 1 + 3 month Phase 2), and I provide a conservative estimate as to how much Return On Investment (ROI) we may expect by end of 12-month period. If you’d like to discuss how we can work together to acquire prospects online and turn them into customers. Fill out the form below and let’s get started! While the value of each conversion is typically lower, the audience is infinitely larger. The goal is to quit trading away time for money and to develop an attractive brand for the right niche. The stakes are higher as list building typically requires more advertising expenses. But a great brand or training package can eventually find “Evergreen” life, allowing you to create another book, training package or software solution that resonates with your audience even more than your original. This is a highly variable and personalized package. I can speak to you more intelligently about possible expenses and returns on investment after we discuss your current status and future goals. Edwards Communications has been creating websites since about 1996. Back then, websites were simply “online brochures”, and if you put a halfway decent one up, you’d get a decent amount of traffic. Needless to say, we’ve come a long way since then. Today, websites should be database driven and interact with your audience. To compete for that valuable search engine ranking, you should be supplying your audience valuable content to bring them to you, and your goal should be to convert a sale, obtain a lead to your prospect list, or possibly get a phone call. Edwards Communications isn’t in the business of designing websites. We’re in the business of providing online marketing solutions. Our websites are the hub of that. Connected to them are email marketing programs, social media integration, list building applications, e-commerce and/or membership capabilities, and integrated content marketing strategies for growing your business. This isn’t a preference anymore, it’s a need. Over 50% of all traffic is through mobile devices today and that number is only going to go up. Laying out your website in a mobile-friendly way ensures that you’ll be found efficiently. As of April 2015, Google has eliminated mobile search results from mobile searches for sites that are not mobile-friendly. We create only responsive (mobile-friendly) websites at Edwards Communications. Our websites’ content reconfigures for the size of the screen, so that only one website needs maintained, as opposed to creating a separate, mobile version which is cumbersome. 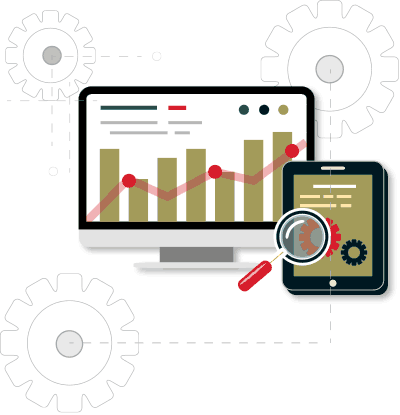 Providing an estimate for your website development is harder than doing so with any of our other services as there are so many variables. A large part of it is the content. Is there existing content for your site? Is it actually GOOD content? What is the marketing strategy to be deployed with your site? How much social media integration is desired and how much blog consultation as a result will be needed? At the lowest end, we can design and deploy a site for our local dentists or lawyers (local practices with little maintenance) for around $2000. But our exit strategy will be well defined and our production will be efficient. This doesn’t include any content development, social media integration or email campaign integration. At the mid-level, we’re usually somewhere in the $3000 range (sites somewhere in the 10 – 30 page range plus blog), and this consists of social media integration and email campaign integration with some consultation on running these efficiently. As always, it also depends on the size of the site and if additional functionality is desired. We also offer e-commerce and membership site solutions that have a wide array of functionality. These also, more often than not, require us to provide some ongoing marketing efforts. Price varies greatly depending on amount of products or services (for e-commerce sites) or levels of engagement (membership sites). But expect these to start at around $5000. With all of our websites, we include a basic level of Search Engine Optimization (SEO). This includes setting up additional software that guides content to be more SEO-friendly. We’re usually re-designing websites for companies these days, which often require (or SHOULD require) more than basic SEO. 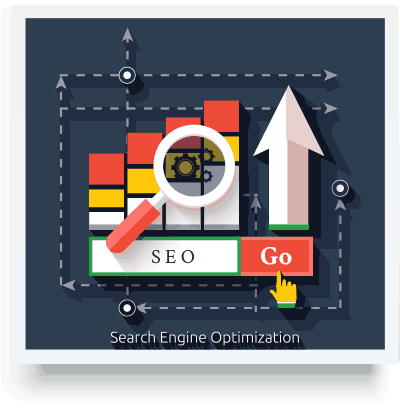 We offer SEO services for both on-page and off-page optimization. Edwards Communications occasionally provides web hosting services for select clients on our Virtual Private Server for 180.00/year. We do not require our clients to be hosted with us, nor do we recommend being hosted by your web developer. It is always in your best interest to own your own property. You avoid lessening your bargaining power with future implementations and also avoid the uncomfortable situation of “asking for the keys” when it’s time to part ways. Many companies try to use hosting as a means of holding you hostage to scale up fees over time. Edwards Communications believes in complete transparency. However, we do require that clients are hosted with a company of standard, national compliance and capabilities such as BlueHost, HostGator, InMotion, Site Ground and so on. This is so that we have a standard Control Panel (tools) that we can use in developing and launching your site, and the server has Tech Support – people responsible for keeping the software up to date and assist us in fixing glitches. If you’re being hosted on your IT company’s server, they will expect us to provide their tech support – which is impossible. Additional fees will be incurred for time spent configuring or changing from inferior host/server. At completion of the agreed upon project, Edwards Communications relinquishes all responsibility to your product(s) unless we have a signed maintenance contract. Software updates (or lack thereof) may eventually interfere with site performance and is the responsibility of the client and his/her host. This is usually not a time consuming, costly nor technically-challenging responsibility, but it is something to be aware of. I highly recommend that you back up the site before updating. It can sometimes break your site. There is no one way to off board a site. Different clients have different needs. Some sites I’ve maintained for years under monthly retainers or simply charges for hours billed when billed. Most often, there is a small retainer agreed upon to get the site’s content up to speed and the in house person(s) that will be responsible for updating content properly trained. To receive a more refined estimate, I’ll need as much information as possible, so please fill out the form below. As all projects are unique, I leave a lot of room for your own interpretation. I typically will be in touch with you within one work day of submission.